Wie schön leuchtet der Morgenstern (How beautifully the morning star shines), BWV 1,[a] is a church cantata by Johann Sebastian Bach. He composed it in 1725 in Leipzig for the feast of the Annunciation and it was first performed on 25 March 1725, which fell that year on Palm Sunday. It is a chorale cantata, being based on the hymn "Wie schön leuchtet der Morgenstern" (1599) by Philipp Nicolai. This cantata is part of Bach's second annual cycle of cantatas, begun on the first Sunday after Trinity 1724. It was the last chorale cantata in the cycle and is based on the hymn "Wie schön leuchtet der Morgenstern" (1599) by Philipp Nicolai. The hymn was associated with Epiphany but also with the Annunciation, and it was the latter feast for which the cantata was written. In Leipzig the Annunciation was celebrated with music, although it typically falls in Lent, when Leipzig observed tempus clausum. This cantata was first performed on 25 March 1725 (which in that year was also Palm Sunday) and its joyful nature would have been all the more striking after the suspension of music for Lent. The scoring provides a rich orchestration, the sparkle of the morning star is illustrated by two solo violins. 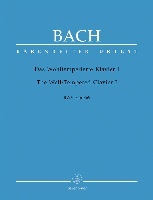 The scoring is reminiscent of Sie werden aus Saba alle kommen, BWV 65, written for Epiphany. The cantus firmus in the chorale fantasia of the opening chorus is sung by the sopranos. 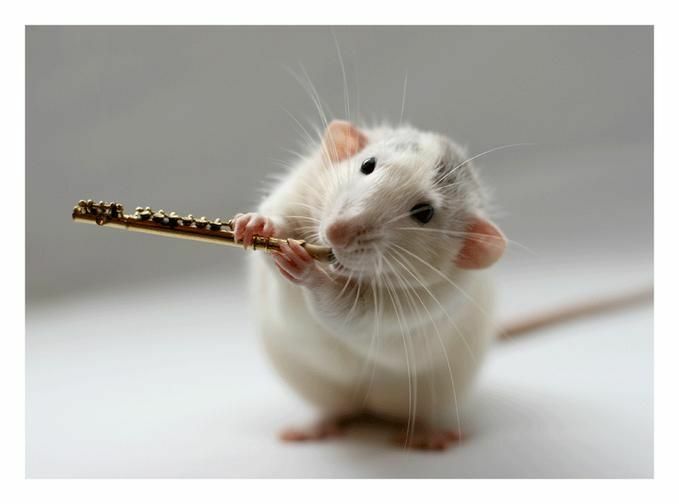 The other voices support the melody, sometimes preparing it. Both recitatives are secco, with melismata on the words "Freudenschein" (joyful radiance) and "Erquickung" (refreshment). The first aria combines the soprano voice with the oboe da caccia in alto range. Two violins accompany the tenor in the second aria, reminiscent of the opening chorus. The closing chorale is embellished by an independent part of the second horn, while the other instruments double the voices. 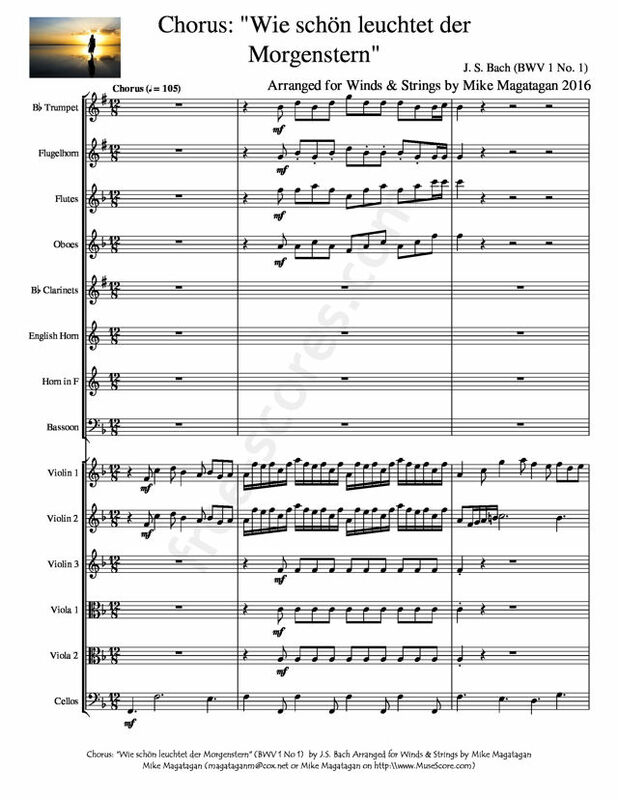 The cantata in six movements is scored for soprano, tenor, and bass soloists, a four-part choir, two horns, two oboes da caccia, two violins obbligato, viola and basso continuo. 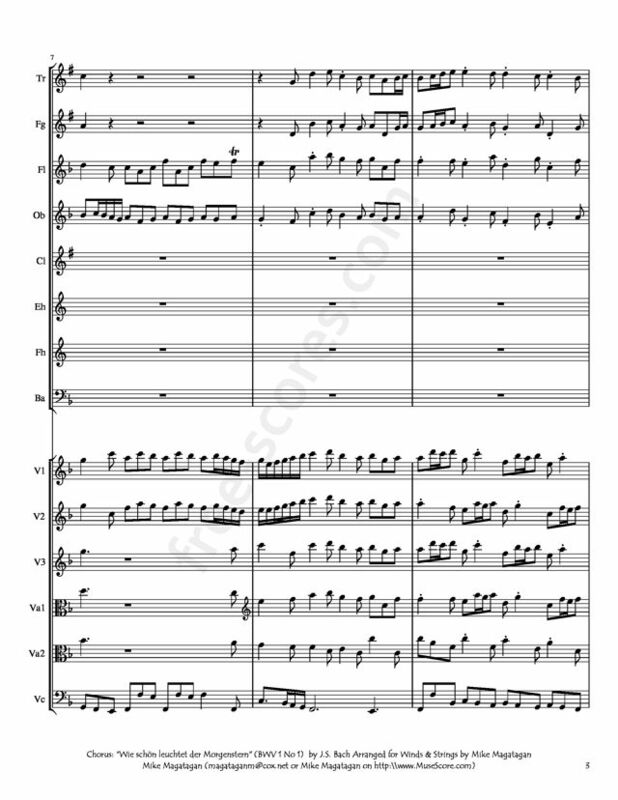 A festive scoring like this, including brass, was usually performed on holidays. Bach would later use the pair of horns in Part IV of his Christmas Oratorio, dealing with the naming of Jesus as announced to Mary. 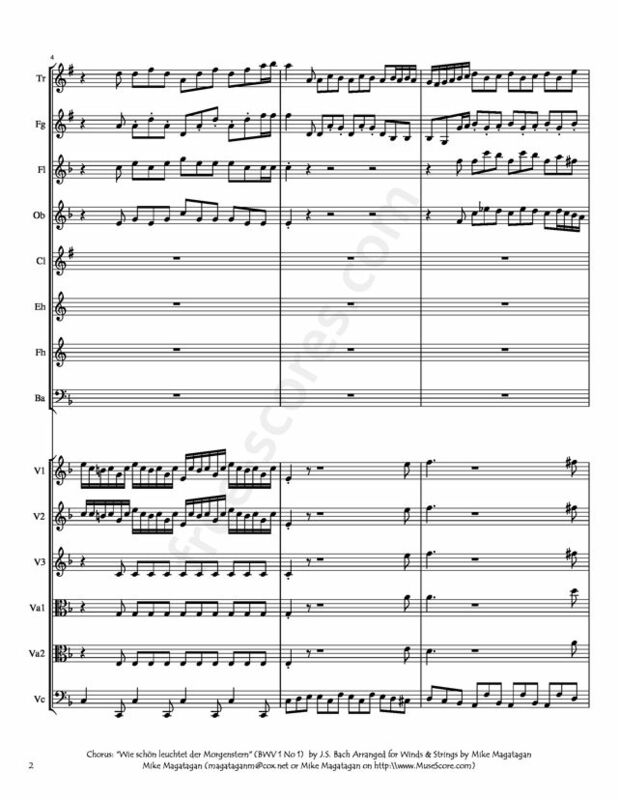 I created this arrangement of the opening Chorus: "Wie schön leuchtet der Morgenstern" (How beautifully the morning star shines) for Winds (Bb Trumpet, Flugelhorn, Flutes, Oboes, Bb Clarinets, English Horn, French Horn & Bassoon) & Strings (3 Violins, 2 Violas & Cellos.